Product information "Native Instruments Komplete 9 Ultimate"
The Native Instruments KOMPLETE 9 ULTIMATE is a professional collection for production, performance, and sound design – the last word in NI excellence. 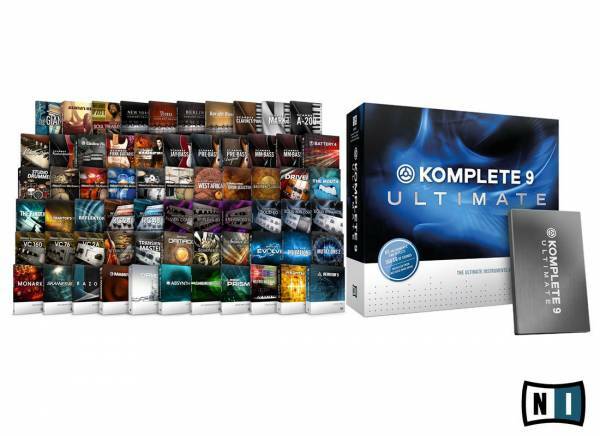 KOMPLETE 9 ULTIMATE delivers the entire range of 65 Instruments and Effects in one package, 16.000 inspiring sounds and over 370 GB of premium samples. Premium sonic tools with unrivalled power including KONTAKT 5, REAKTOR 5, and GUITAR RIG 5 PRO, plus the monosynth MONARK and the re-designed BATTERY 4. You'll also get SCARBEE RICKENBACKER® BASS, ACTION STRINGS, SESSION HORNS, ABBEY ROAD VINTAGE DRUMMER, and DAMAGE for truly limitless possibilities. And the REVERB CLASSICS, PREMIUM TUBE SERIES, and SOLID MIX SERIES deliver a complete studio effects suite. This bundle includes a full range of covering instruments and effects for all professional productions. This is our most complete audio production suite ever. 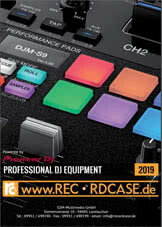 Two powerful flagship products power cutting-edge synthesis and sampling. REAKTOR 5.8, the ever-expanding modular sound studio, drives synthesis fast-forward into the future. And KONTAKT 5, the all-powerful engine for sample-based instrument design, comes packed with 43GB of premium sounds, all-new studio effects, ground breaking filters and an arsenal of in-depth features. The virtual analog powerhouse MONARK monosynth joins the dynamic, raucous SKANNER XT and two other incredible instruments by the father of REAKTOR in KOMPLETE 9 ULTIMATE’s synth arsenal. Alongside them are the bass music heavyweight MASSIVE, the crystalline sound of FM8, the otherworldly sound of ABSYNTH, and a stunning collection of 20 vintage analog synths and keyboards. Power up your cinematic productions with the intuitive, instantly-playable ACTION STRINGS and SESSION HORNS, and the crushing, epic percussion of DAMAGE. Go even further with SESSION STRINGS PRO, the gold-standard contemporary strings and the powerful, forward-looking sound design possibilities of EVOLVE MUTATIONS and EVOLVE MUTATIONS 2. KOMPLETE 9 ULTIMATE delivers the PREMIUM TUBE SERIES and REVERB CLASSICS – a fully-loaded, premium-sounding set of studio effects – next to an already-incredible effect suite featuring the updated SOLID MIX SERIES, a versatile 'magic wand' for placing instruments in a mix, one of Tim Exile's amazing creations, DJ effects for the studio and monster IR reverb. A completely redesigned BATTERY 4 and ABBEY ROAD VINTAGE DRUMMER join a century of inspired drumming with STUDIO DRUMMER, ABBEY ROAD 60s DRUMMER, ABBEY ROAD 70s DRUMMER, ABBEY ROAD 80s DRUMMER and ABBEY ROAD MODERN DRUMMER – a full range of electronic and acoustic percussion ready for all production duties. Complimented by a versatile set of hard-hitting electronic and ethnic percussion. GUITAR RIG 5 PRO is a professional guitar studio, featuring essential amps and effects plus CONTROL ROOM PRO – putting you behind a virtual mixing desk to sculpt your tone to perfection. All this alongside the devastating, signature sound of RAMMFIRE, and the legendary SCARBEE collection of sampled instruments including SCARBEE FUNK GUITARIST and SCARBEE RICKENBACKER® BASS. THE GIANT becomes part of a rich assortment of keys and pianos included in KOMPLETE 9 ULTIMATE - from signature artists' personal instruments and phrases, to classic organs, a legendary cast of perfectly sampled electric, upright and concert grand pianos. Requires 10 GB free disc space / 250 GB* for complete installation, USB 2.0 port. Speci?c requirements vary depending on the individual program. • This product runs in demo mode after installation and must be activated before full functionality is available. • All products included within a single edition of KOMPLETE 9 ULTIMATE are part of one user license and can only be used as a single entity. A maximum of three installations on three machines are allowed as long as only one installation is used at any given time. The individual products cannot be resold separately. • KOMPLETE 9 ULTIMATE includes the GUITAR RIG 5 PRO software but not the RIG KONTROL hardware controller. Be the first who writes a review for: "Native Instruments Komplete 9 Ultimate"